The value and importance of land to man can never be over emphasised. As a matter of fact, an African saying equates this value and importance to that an African attaches to a ﬁrst son. That’s the very important place land occupies in the life of man. We live on land, eat from land, and ﬁnd the foundation for the expression of our dreams and visions on land; indeed, the usefulness of land permeates most aspects of our life; that is why it ﬁnds a prominent mention in our laws and plays a very pivotal role in nations’ economies. Consequently, the availability and access to land will always remain an all-time business (commercial) and domestic concern of man. Incidentally, however, as important and as strategic land is to our individual and national survival, our economy and development, easy acquisition and stress-free utilisation of land has remained a mere wish and aspiration that appears to be illusive for a long spell. Little wonder that, when being screened for his present appointment, Ghana’s Senior Minister, Yaw Osafo-Maafo, had oﬀered the resolution of the seeming intractable challenge as one of the important objectives their government would pursue; to make land acquisition system in Ghana easier for businesses and enhance the ease of doing business. 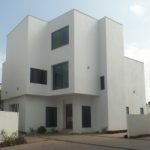 Indeed, many businesses are reluctant to establish in Ghana due to the complex and problematic nature of acquiring land and for the exorbitant rent advance charges. “To really make the environment business friendly, we got to look at the land acquisition system in this country. People come to this country, ready to invest but most of them are put oﬀ because of multiple sale of the same land to people. Sometimes it is embarrassing,” Osafo-Maafo had said. Really, aside from the seeming reluctance to fast-track land acquisition and making it less litigation webbed, the present diﬃculty in acquiring land within a reasonable period of time continues to discourage investment in critical are as such as agriculture, housing and infrastructure. In the same vein, the land situation invariably leads to the issue of property which is the inevitable oﬀspring of land. As laws exist for the acquisition of land, so also, do laws for property acquisition exist. Again, as in land, the need to continually ensure the implementation and eﬀectiveness of these laws that regulate and guide property acquisition general transaction, is equally important and necessary as it feeds into the nation’s productive output and quality of life. Hence, the design of this Conference to provide a periodic review of the state of aﬀairs of our lands and property as a way of eﬀectively ensuring that emerging issues and hindrances are sorted out summarily to enhance productivity and ease of living. Thus, Africa Business Media (ABM) decided to create the forum – Ghana Land and Property Conference & Exhibition – as a platform where all stakeholders would gather annually to update, discuss and examine possible solutions to making land acquisition as competitively friendly as could be found anywhere in the world. The theme for this maiden event is: Improving Land Administration for Wealth Creation: The Place of Policy, Ownership and Investment. 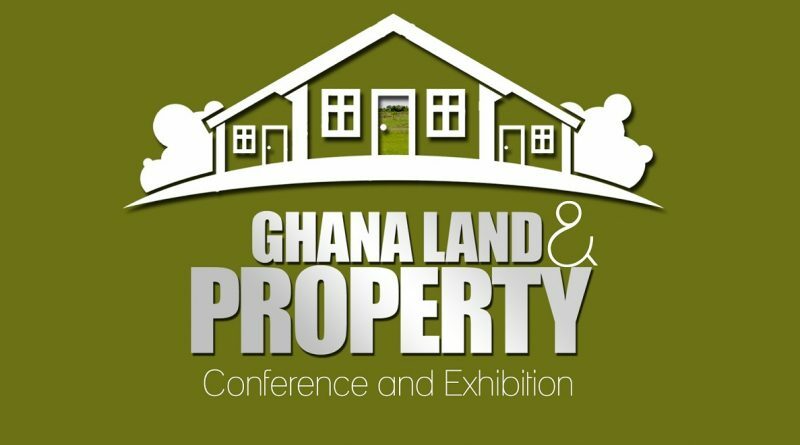 The Ghana Land & Property Conference& Exhibition (GLAPCE) 2018 is being designed as an annual forum where arising issues from land and property acquisitions are identiﬁed and discussed with the sole aim of ﬁnding practical solutions to ameliorating all related diﬃculties or challenges. Making it an annual aﬀair ensures that arising problems do not linger to become a norm and that monitoring adherence to best practices becomes a standard practice. Resolutions shall emerge from each conference annually and a monitoring committee shall be set up to liaise with relevant government ministries, departments and agencies (MDAs) and parliament to see that policy propositions from each forum is considered and executed as proposed.